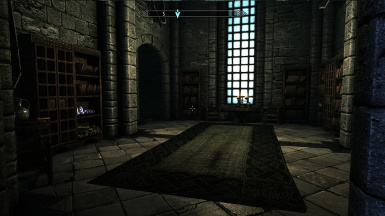 This Mod Adds an entire new floor to the college of winterhold's main tower as well as drastically improving the Archmage quarters while at the same time adding autochests, additional apparel A Marketplace/Dininghall and numerous little tweaks to improve gameplay and immersion. Permission to alter and upload this mod is not granted unless asked in advanced and agreed upon. 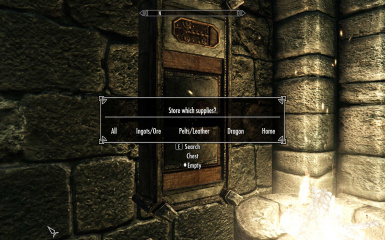 However add-on quests to this mod are allowed and encouraged (I.E. 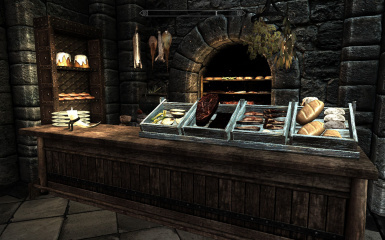 you can use this mod as a base and make a mod that has a quest that uses the dining hall as a starting point for instance). 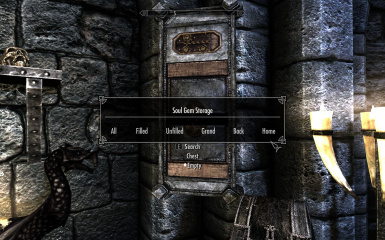 All Translations of this mod must stay on the Skyrim Nexus and must give credit and have a link back to this mod in the description. - Gantyboy for all of his hard work on CWI/ICW. Added 2 more bookcases to make up for moving the damn bookcases around again. Added "Options Ledger" to allow for disabling/enabling some of the new features. Please let me know how your experience with this new quest & content goes. I'm particularly interested in if it was hard enough for you? Did you get lost? How long did it take you to complete? Did you cheat to get through it? Were the Bosses tough enough? 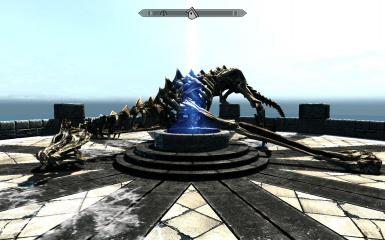 Removed Marriage scripts due to Hearthfire conflict and to make mod more stable across the board. 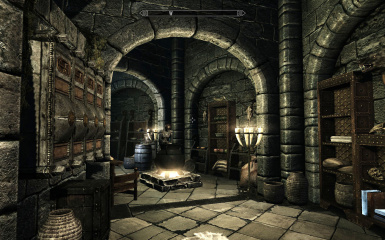 I encourage all users to use the "My home is your home" mod. It works much better. 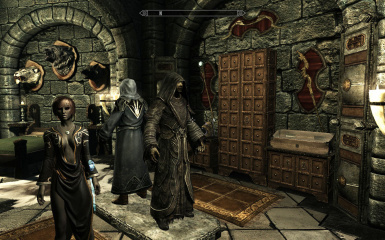 Fixed Greybeard's robes so that they functioned properly and removed them from Archmage quarters. They are now in an appropriate lore friendly location. 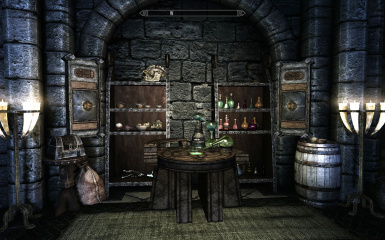 Cleaned mod out thoroughly with TES5Edit - it is completely Error and dirty edit free. 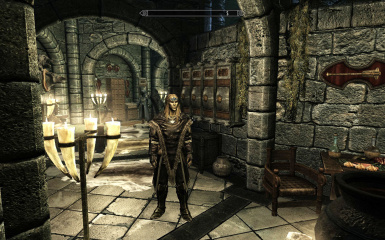 Made Psiijic robes separate from Armored Psiijic robes so user had both versions. Added a secret new unique magical item to the game... and no I'm not gonna tell where it is. Updated nocturnal robes so that you didn't tern into a hermaphrodite if you were a man. 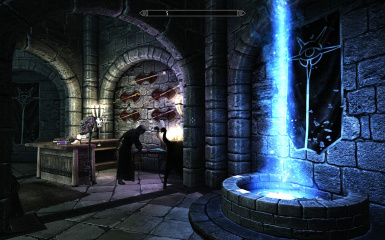 Attempted to fix the occasional glitch where spouse runs off to proudspire manor or Vindrel hall instead of the archmage quarters. buffed the Drainspell bow and added fancy drainspell arrows.... that are invisible. Hey nobody's perfect. Fixed a few item statistics. 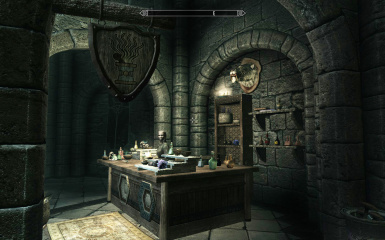 In the beginning there was nothing... and then the improved winterhold was born in all its glory. 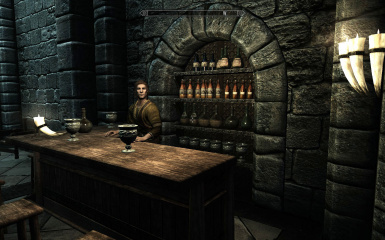 So I'm sure Many of you were like me when you played through the Winterhold college storyline and were a little bit bummed and thought... Really? That's it? 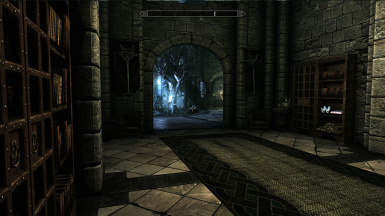 This is a mod for all of you out there who were dissatisfied with the steril feeling of the College of Winterhold. 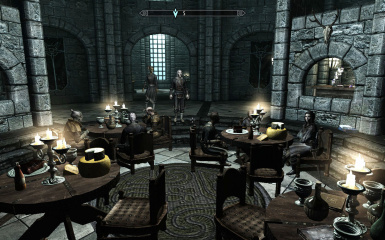 The goal of this mod was to expand the school a little and make it a little more sociable. 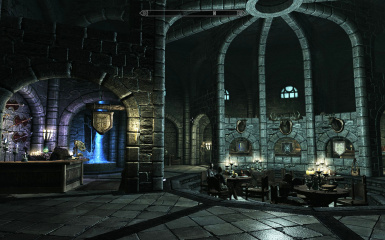 I did this by adding a whole new floor to the main tower in the college of winterhold with a central dining area & shops. 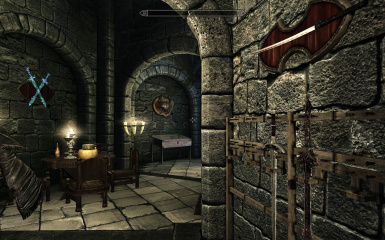 I also dressed up the Archmage Quarters to make them a more viable player home which can be fast traveled to via a magic well at the top of the archmages tower.Originally this mod was also programmed to also be spouse friendly but with the hearthfire dlc the coding just became too complicated to function reliably so it has been stripped out in favor of stability. 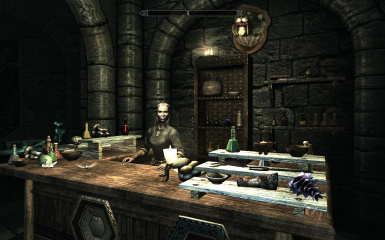 That being said I highly recommend the "My Home is Your Home" mod. It sets the spouse and follower homes better than I could even hope to. You can even specify where they sleep where they work or instead of sleeping you can have them guard an area. 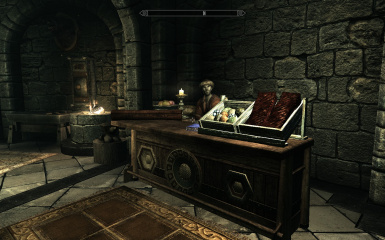 I also highly recommend the "Unlimited Bookshelves" Mod. 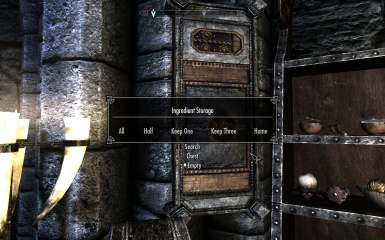 This mod allows you to put anything on shelves! and many many more books! 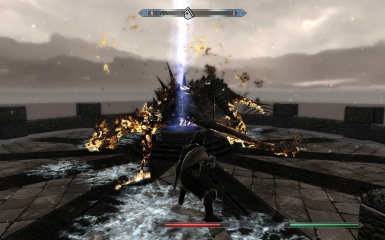 And lastly to complete the Winterhold experience I recommend the mod "Expanded Winterhold Destruction Ruins" it really adds quite a bit to the Winterhold experience as well by making winterhold look like it used to be a great city to rival Solitude but crumbled into the sea during the event 200 years before. 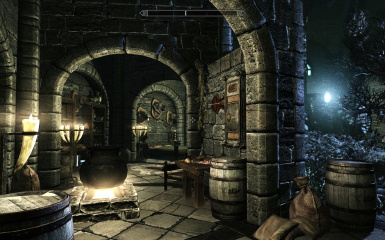 There is also a crypt and an undergroundcity to explore as well! 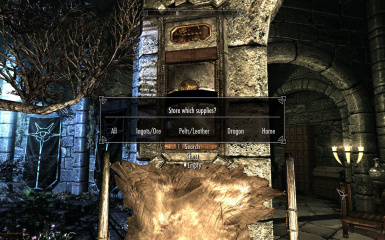 10) Travel back to Winterhold and Use this mod normally. 3) Added 2 more bookcases to make up for moving the damn bookcases around again. 11) Added "Options Ledger" to allow for disabling/enabling some of the new features. Please let me know how your experience with this new quest & content goes. I'm particularly interested in if it was hard enough for you? Did you get lost? How long did it take you to complete? Did you cheat to get through it? Were the Bosses tough enough? Did you enjoy the backstory for the Archmage? 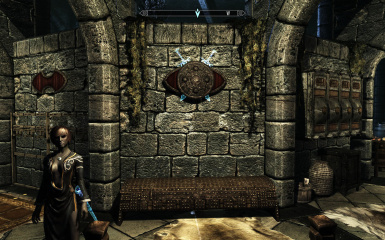 1) Disable/Enable Entrance Furniture - Option to remove furniture from entrance to make room for wall clock in the "Immersive Winterhold" mod. 2) Disable/Enable Kitchen Divider - Disables kitchen divider & shelves. 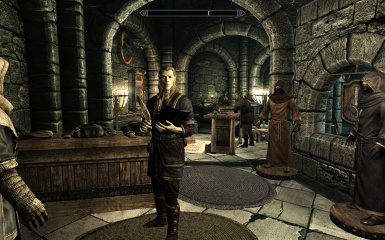 1) Remove all of your items from all Bookshelves, Shelves, Display racks/cases/plaques, Mannequins & Containers from both the Archmage quarters AND the Dining Hall/Forum. 2) Uninstall mod via Nexus mod manager or Unsubscribing from steam. - Added a smelter and tanning rack to exterior. 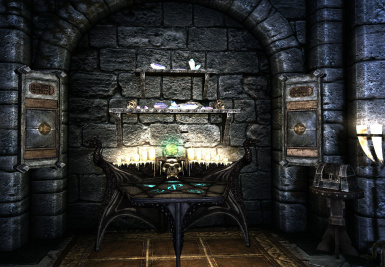 - put auto access scripts on both the Enchanter & alchemy table (so you can store all your items in the chest and when you use the enchanter it will pull from the chest as well as your inventory... trust me... its Awesome. 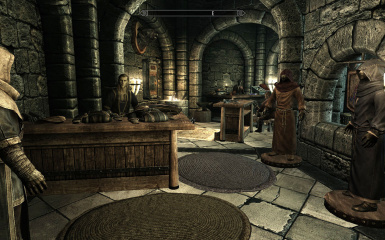 - Stealing from or killing a merchant will get you kicked out of the college as well as get the ire of the shop keeper. 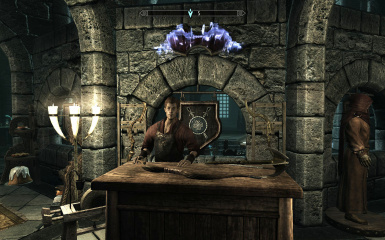 - All New shop owners will recognize you as the Archmage of the college and greet you appropriately. Thanks for all your patience and support everyone!!! 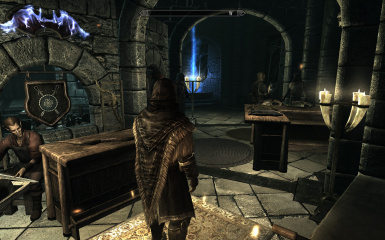 2) This mod may conflict with other Winterhold mods Particularly the archmage quarters, Arcanium & rooftop. or any mods that effect Mage robes etc. 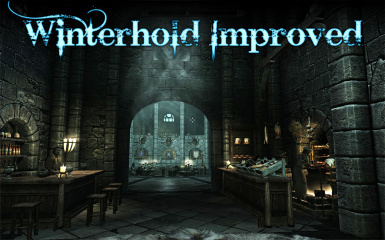 Again set Winterhold Improved to load last then load your other Winterhold mods after it.